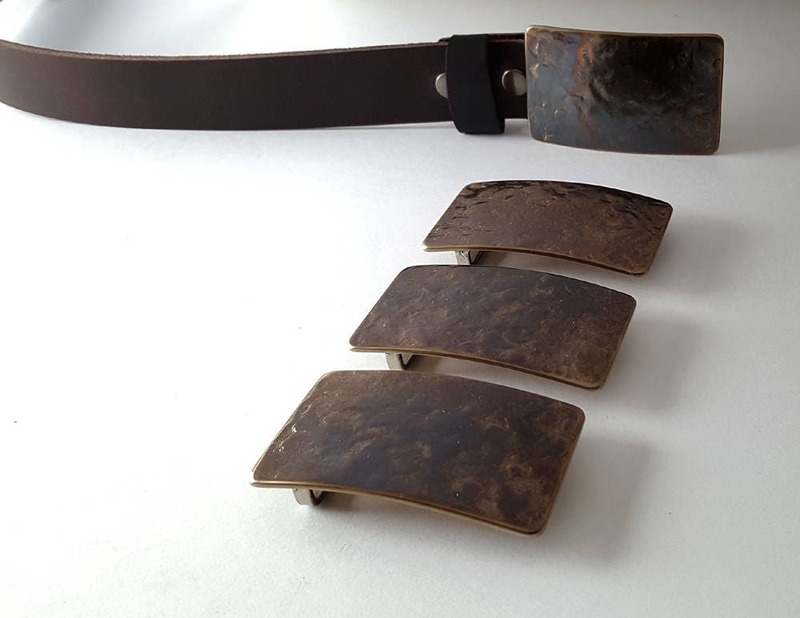 Men's Hand Forged Rugged Gift Belt & Buckle SET. Perfect Wedding Accessories. 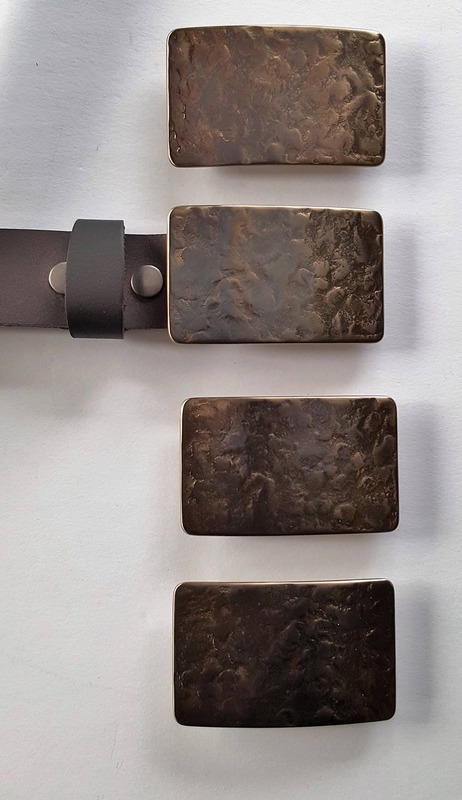 Belt and Buckle for Jeans or Casual. Buckle is a signed original. Set includes a buckle, leather belt and gift bag. 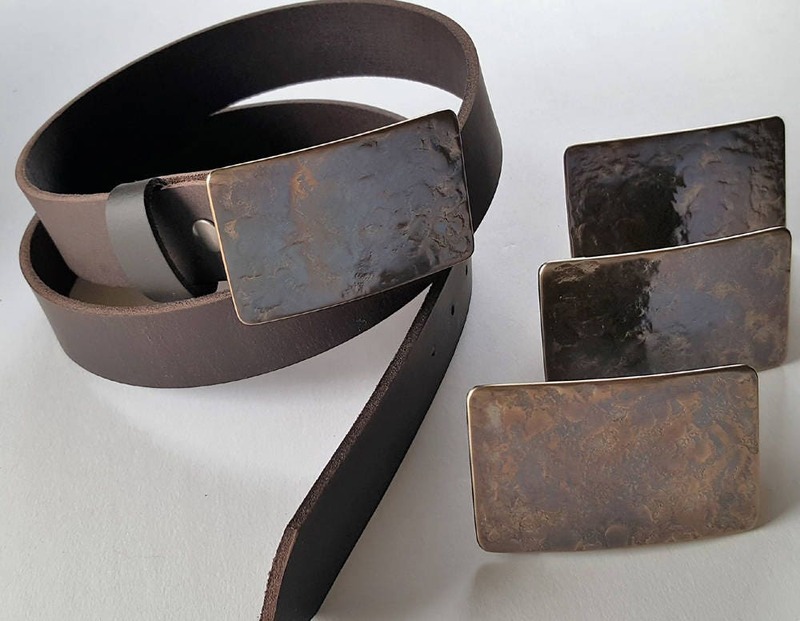 Hypoallergenic belt buckle and 1.5" oiled buffalo leather belt. Photographed on 1.5" dark brown belt. Five colours to choose from. Buckle fits a 1.5" belt. 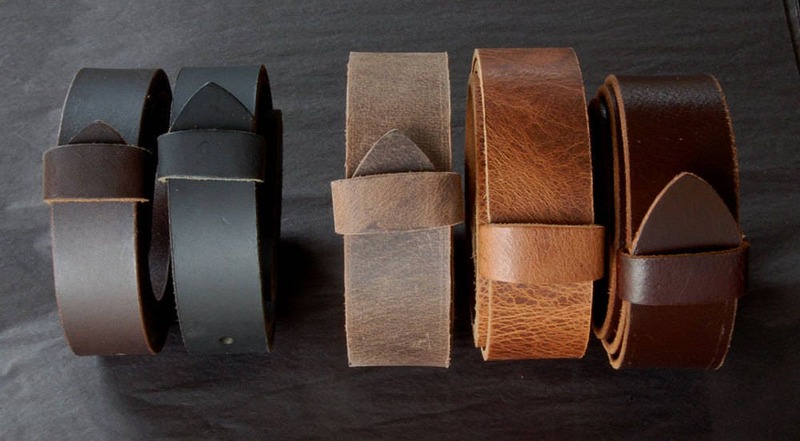 Because each belt is custom cut, if you have any questions regarding sizes, please don't hesitate to email. Additional belts are available. Choose from five colours. Etches/Initials/Monograms up to threee initials on front of buckle $30 extra. 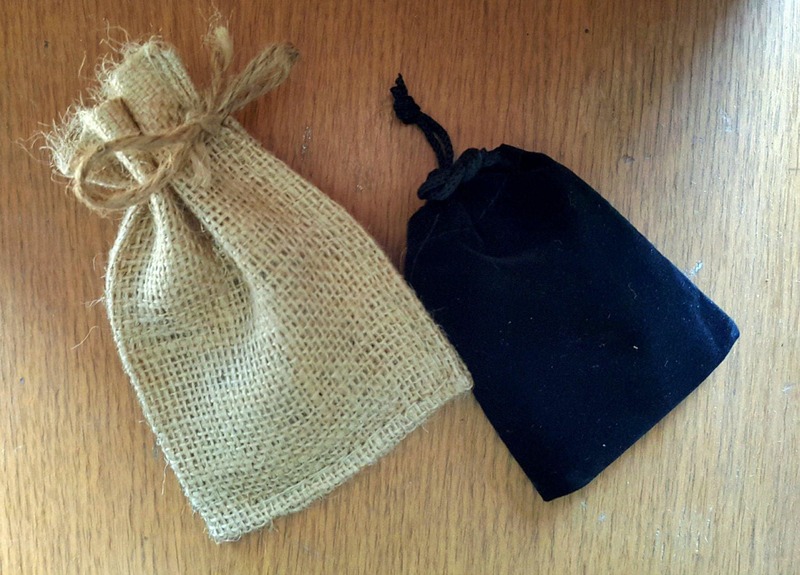 A beautiful product boasting fine craftsmanship and attentional to detail, outdone only perhaps by Robert and Lisa's stellar customer service. Cheers!